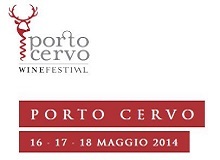 The Wine Festival returns to Porto Cervo! This prestigious event dedicated to wine takes place against the splendid backdrop of the Costa Smeralda, with the curtain going up at Porto Cervo on the 16th May and staying there until the 18th to celebrate not just one of Sardinia’s most significant wine events, but the start of a long series of events to liven up Summer on the Costa Smeralda. Many of Sardinia’s wine producers will share the scene with some of the most important National companies in a three day event dedicated to wine lovers. With its lively yet romantic atmosphere, the splendid setting of Porto Cervo has all the ingredients necessary to host the 6th edition of the exhibition. The main event takes place in the Conference Centre but it continues in the famous Porto Cervo Piazzetta and the town’s streets and alleys, where all the boutiques taking part are offering displays and tastings of some of the most prized labels. This is a unique opportunity to discover the romantic side of this corner of Sardinia.